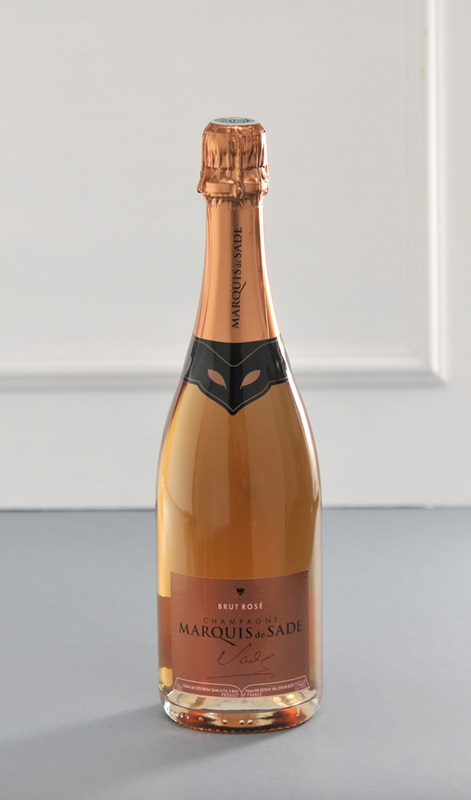 The Cuvée Rosé Brut Marquis de Sade is smooth and powerful. Fruity and delicate, this champagne gets its balance and depth to the presence of Pinot NOIR. In a pale pink dress with the scent of red fruits, he seduces the sweet nose. The Cuvée Rosé Brut Marquis de Sade is exclusively composed of Pinot NOIR. Elaborated with grapes from the warmest years on stony soils, located in an area of continental climate, ideal for pinot noir. - COLOR : Elegant bubble, light cordon. - NOSE : Powerfull nose and palate. - TASTE : red fruit (cherry and currant), pear's note, supple without agressivity, with a small bitter final like grapefruit. A champagne for summer time. Easy to drink with friends.Can be served for the aperitive with toast or a long champagne diner with chicken or veal.